Falco Select is the best suited arrow for beginner recreational shooting whose goal is to enjoy oneself at archery but perhaps not chase bigger competitive goals. We produce select arrows on Port Oxford Cedar and also on European Pine shafts. The arrows are usually stained either orange (cedar) or yellow (pine) and they are supplied with 4" natural turkey vanes, a Classic Nock and Field Steel point. 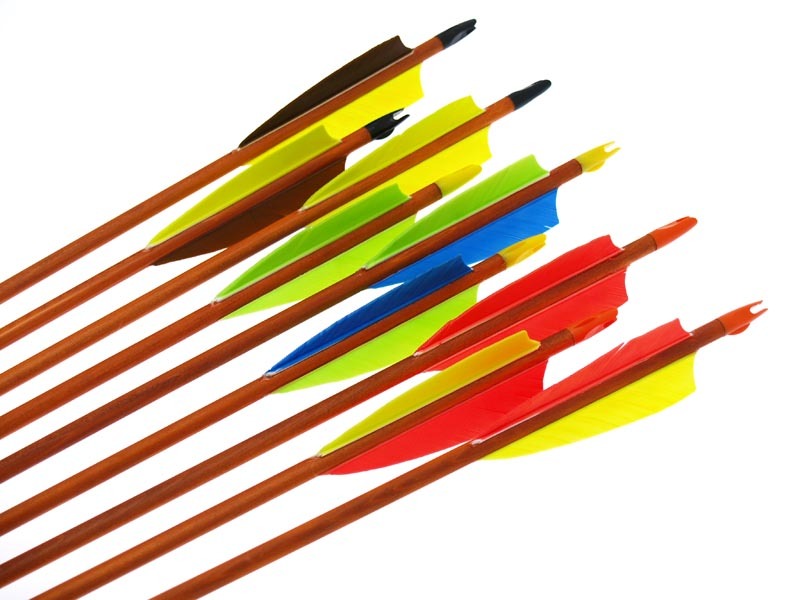 The arrows are offered in all three more common diametres of 5/16" or 11/32"
Shaft - stained POC cedar or European Pine 5/16", 11/32"
Length - 30.5" for 5/16" or 32" for 11/32". Possibility to cut shorter.